Drug interactions can occur with drugs you may be taking for depression and these can decrease the effectiveness of your medications cause side effects, or even increase the mechanism of a specific drug. Caution is important also because drug interactions can be potentially harmful or fatal. It is important to read labels for each drug, whether that is a prescription or over-the-counter one. By arming yourself with knowledge, you can reduce the risks associated with medications and you can help to prevent any uncomfortable or harmful drug interactions and side effects. 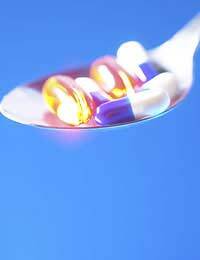 Drug-drug interactions occur when one drug reacts with either one or several other drugs. For example, you may be taking an antidepressant medication and you may also wish to take an antihistamine to deal with allergies. Or perhaps you are taking a nicotine replacement product and are also on antidepressant therapy. Either of these two combinations can have dangerous effects although individually, they are generally safe to use. Nicotine replacement products, for instance, tend to have a stimulatory effect and if you are taking a medication for your depression that also has this effect, the result is an exacerbated excitability that can be quite unpleasant. Alternately, antihistamines can be fairly sedating so when combined with a sedating antidepressant, your concentration level can be strongly affected. Operating a car or any other machinery could be particularly dangerous if you are drowsy and your focusing is impaired. Other medications can increase or decrease the ability of drugs you may be taking for various conditions. For instance, tricyclic antidepressants such as amitriptyline can reduce the effectiveness of some blood pressure lowering medications. Overall, the newer antidepressants called selective serotonin reuptake inhibitors (SSRIs) should not be mixed with various mood stabilising drugs such as phenelzine, as this can result in a dramatic increase in blood pressure. Antidepressants such as fluoxetine also react badly with herbal supplements such as St. John's wort as well as some of the triptans, which are commonly used to treat migraine headaches. Effects from these drugs ingested together can involve dizziness, confusion and shakes. Certain drugs you may be taking for depression can cause adverse effects with specific beverages or foods. Alcohol is a common beverage that can increase the effects of a drug, leaving you with a slowed reaction time or extreme fatigue. Some of the anti-anxiety medications such as lorazepam and diazepam should not be taken with caffeine-containing foods and beverages, as you can be left with extreme excitability and hyperactivity. Monoamine oxidase inhibitors (MOAs) have a great many dietary restrictions. Failure to adhere to these restrictions can cause a quick and possibly fatal surge in blood pressure, particularly if alcoholic drinks or foods high in tyramine are consumed. Examples of tyramine containing foods are certain cheeses and cured meats. Drug-condition interactions occur when you are taking a drug, or combination of drugs, to treat a medical condition, and the side effects cause additional problems with another medical condition. If you suffer from any bowel disorders such as Crohn's disease, for example, you may find that the gastrointestinal side effects of antidepressants are increased. In addition, bladder conditions such as interstitial cystitis may be more painful from the increased urinary retention that can occur as a side effect of some depression medications. Is this medication okay to take with other drugs? Are there any foods or drinks I should avoid? What signs will I notice if an interaction does occur? Your depression medications can treat your symptoms but they must be taken as directed for maximum benefit and minimal risk. Read all information carefully and ask questions if you have any doubts about interactions. With a bit of effort and time to ensure you are clear on how to take your medications and what to avoid, you can get the full benefit from your depression prescription.